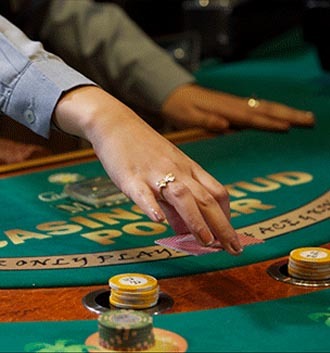 Roulette is definitely one of the more challenging games for both beginners and regular casino patrons. 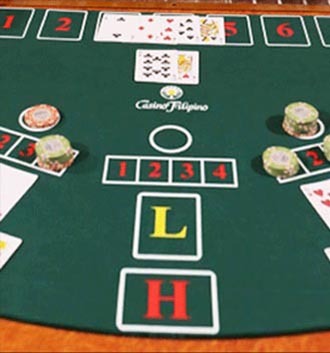 Casino Filipino offers both the American and European versions of Roulette. 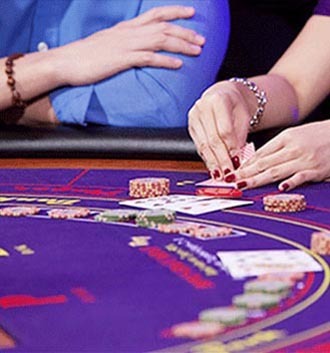 At the start, the player buys special roulette color chips at the table and shall be for his exclusive use for wagering. 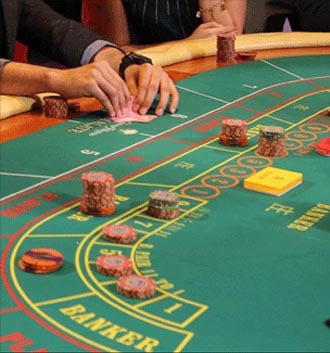 The game begins when the Dealer turns the wheel and spins a small ivory ball in opposite directions. The slot where the ball rests after the spin is the winning number and color. 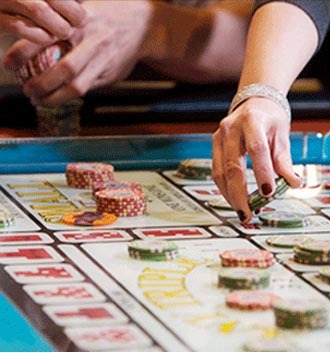 Winning bets are paid according to its position on the layout. 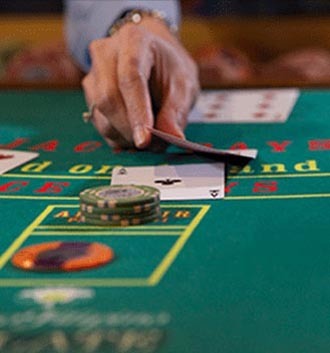 a.	Single-number (Straight bet) Bets placed squarely on one number. Pays 35 to 1.
i. Street/Road bet - bets placed on the sideline across any three adjacent numbers. ii. Basket bet - bets placed between any three numbers on any point of intersection on the line separating 0, 00 & 1-2-3.
d.	Four-number (Square bet) - bets placed on the intersection of the lines between any four numbers. 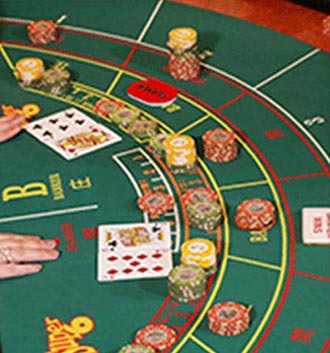 Pays 8 to 1.
e.	Five-numbers (First five bet) - bets placed on the intersection of the sideline and the line separating 1-2-3 from “0” and “00”. Pays 6 to 1.
f.	Six-number (Line bet) - bets placed on the intersection of the sideline and a line between two “streets”. Pays 5 to 1.
ii. 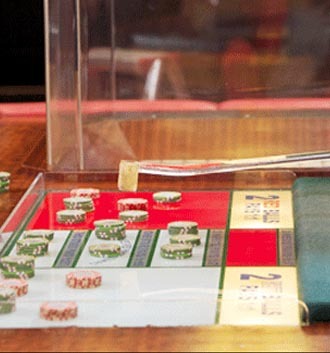 Dozen - bets placed in one of the spaces of the layout marked “1st 12, 2nd 12 and 3rd 12”. i. 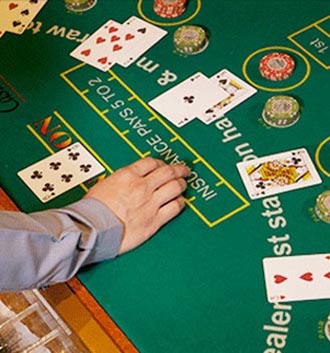 Low field - bets placed on the space of the layout marked “1 – 18”. v.	Red - bets placed on the space of the layout attributed to color red representing all the red-colored numbers.